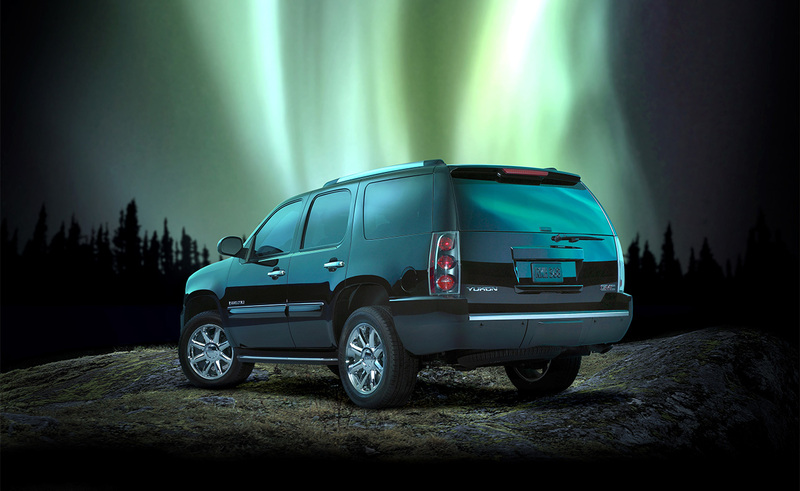 What better way to highlight the Yukon than the Northern Lights! Terry Collier Photographer created this image in his Toronto car studio by projecting an image of the Aurora Borealis onto the studio walls. Art Direction by Bart Smith for MacLaren McCann.